With an investment of US$24 million, the first wave from some 20 digital pilot projects emerge from ABB, targeting maintenance cost reduction and data in-sights across oil, gas and chemicals facilities. ABB is investing in a series of pilot projects aimed at bringing new digital products, services and solutions to industry. 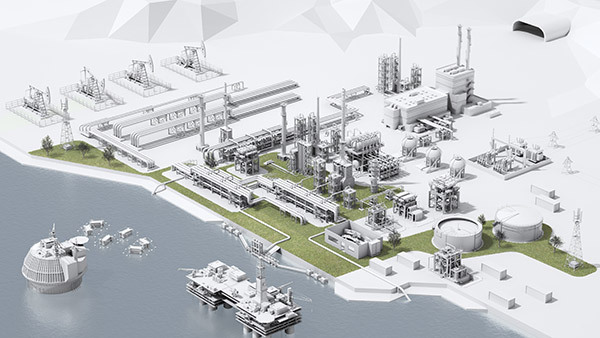 All projects are built using the ABB Ability platform, which, by using digitally enabled industry solutions, collects, stores, searches, finds, views and analyses data. The data is then presented as useful information in different contexts and timeframes. The pilot projects extend from agile manufacturing, cloud-based collaboration and energy grid of the future to cyber asset management, digitally enabled process performance services and condition-based maintenance. Three projects specifically targeting the oil, gas and chemicals sectors, address the un-tapped potential of condition based maintenance, servicing of rotating equipment and fine-tuning process performance of installed control systems. The first project targets maintenance, one of the most significant and untapped areas of cost savings in oil, gas and chemical facilities. With maintenance budgets accounting for some two-thirds of annual net profit, it is the largest single controllable expenditure. One leading oil operator estimates that about 63% of maintenance labour results in no action. This is because maintenance that is not needed is sometimes performed on perfectly functional equipment, thereby introducing unnecessary cost and risk. ABB is investing in a series of pilot projects aimed at bringing new digital products, services and solutions to oil, gas and chemical facilities. The project provides customers with the services, tools and information needed to capture, trust and act upon data and online information generated by todays installed condition monitoring systems. It ensures electrical equipment maintenance is only performed when necessary and not on an arbitrary schedule, eliminating needless interruption to production and reducing expenditures. A second project, targeting rotating equipment, provides a suite of analytical services and applications that give access to good quality data, identifies failure patterns of rotating equipment and predicts their potential failures. In addition, it benchmarks the customer fleet for improved budget allocation and al-lows ABB to build adjacent service offerings based upon the data collected. This offering addresses the demands of chemical plant managers who are asking for a better understand-ing of how their fleet of rotating equipment performs, predict failures before they occur, and eliminate unnecessary maintenance to reduce operating costs. The third project focuses on digitally enabled process performance services. It aims to improve operation and production quality by collecting data from customers’ existing assets, identifying areas where process improvement is needed, suggesting approaches to address challenges and deficits, and then implementing the services necessary to strengthen performance. With lower oil prices, upstream operators are increasingly focusing on improving production. With today’s prices, process performance improvement can significantly improve the bottom line of the oil companies. Typically, 3 – 5% increased production is achievable, translating into about US$35 million extra earnings annually for a platform producing 50 000 bpd at US$50/bbl. One outcome of this project is the ABB AbilityTM Process Performance Dashboard. Following some 15 years of identifying poor process system performance in upstream oil and gas facilities, ABB has developed six key performance indicators (KPIs) for the process performance of a plant. These include three symptoms and three results of bad process behavior.